Starting a degree or adding to your qualifications is an exciting and sometimes daunting time. It’s why we make a massive effort to ensure you get all the support you need to have a positive experience – on or off campus. We're a uni that values individual differences and diversity. We have a multicultural mix of people who’ve chosen to study here, as well as a wide range of ages – from school leavers to people returning to study. We also respect the Nyoongar people, the traditional custodians of the land on which our campuses are built, and we're committed to developing our Aboriginal and Torres Strait Islander students and staff. How do I keep up with all the reading? What should I be doing with my lecture notes? How do I know if I'm plagiarising? What makes a good essay or assignment at university level? 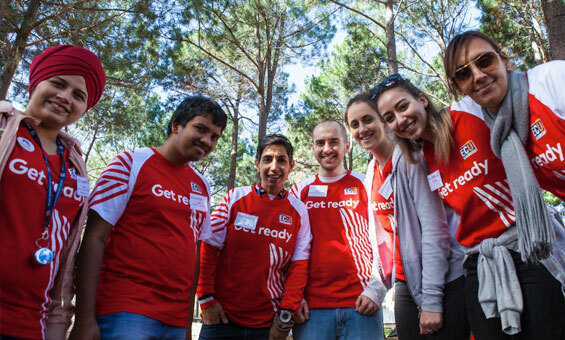 Peer mentors help new students build social and academic networks so they settle more quickly into uni life. Mentoring groups are led by later-year student volunteers who are trained mentors. Careers & Employability Services provides free, professional career counselling and job search support. They'll help you find employment and work experience opportunities while studying, as well as plan your transition from uni to working life. Student Equity, Diversity and Disability Service is a free, confidential service for students with a disability and/or medical condition, either permanent or temporary, and can help make uni life a better experience. No matter which campus you study at – or even if you're studying online – you’ll find great facilities to enhance your uni experience. Apart from cafes, taverns, ATMs, bookshops, gyms and sports centres and libraries, you'll find loads more useful services. 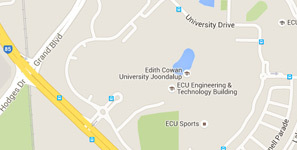 childcare centres on or near Joondalup, Mount Lawley or South West campuses, catering for children from 0-5 years. on-campus computing 24/7 e-Labs for PC and Mac users, with the latest software. wireless networks on all campuses. software for home use through license agreements we’ve negotiated on behalf of students. multimedia equipment you can borrow through campus multimedia centres. security officers are available on campus 24/7 to assist and protect students, visitors and staff. the Student Guild is run by ECU students and provides academic, social and financial assistance, organises events, supports student clubs, and offers member discounts. 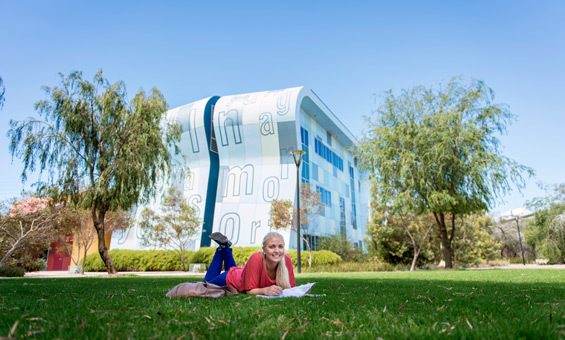 Accommodation is available at student villages on our Joondalup, Mount Lawley and South West (Bunbury) campuses. Shops and sport and recreation facilities are within walking distance of the villages, or easily accessible by public transport. For more information, visit the ECU Village website. If you'd prefer to live off-campus, you should explore Perth rental properties at the REIWA or Domain websites. Alternatively, you can live in a private home with a Western Australian family through the Australian Homestay Network. Open Day is held every year at all of our campuses, with a different day allocated to each one. It's about opening our doors to visitors like high school students, people returning to study, parents and teachers. It's a fun-filled, fact-finding experience for everyone. Orientation happens the week before the start of each semester and it’s a great way for new students to adjust to uni life. In O-Week you'll get to meet teaching staff and new students, find your way around campus and understand where to go for our legendary support. Being successful at uni is as much about being organised as it is about being intelligent. Manage your time with a study pattern that helps you get to lectures/tutorials and submit your assignments on time. Don't be a stranger. Join a club or society. Attend everything you can, not just lectures and tutorials, but forums and other school activities. Don't be put off by any early struggles. Talk to your lecturers, tutors, learning advisors or any of our other 'supporters'. Don't be afraid to ask for help. Uni life is all about balance. You need to find that place between 'party animal' and 'full-on student' that suits you best.